Gnetophytes (Class Gnetopsida) are a very perplexing group of plants. Gnetopsida only consist of three genera, which are highly variable in their overall morphology and distribution. Perhaps the strangest plant on the planet is the welwitschia (Welwitschia mirabilis). It is considered a living fossil with a very strange growth habit. Following germination, the two cotyledons (seed leaves) give rise to two true leaves. Those leaves continue to grow throughout the life of the plant reaching upwards of 6 meters, and no new leaves are produced. Unlike all other gymnosperms, gnetophytes have vessel elements. Vessel elements are vascular tissue that are much more efficient at transporting water than tracheids. While all vascular plants have tracheids, only gnetophytes and flowering plants (Angiosperms) have vessel elements. This similarity in morphology led early botanists to assume that flowering plants are all descendants of gnetophytes. Also similar to flowering plants, some species of gnetophytes (i.e. welwitschia) are pollinated by insects attracted to nectar in the male and female strobili. All other gymnosperms are wind-pollinated. However, modern genetic analysis suggests that gnetophytes are not closely related to angiosperms, regardless of these morphological and ecological relationships. Male plant of Welwitchia mirabilis. This species is only found in the extremely arid Namibian Desert in Southern Africa. Photo: Bries 2005. Source: Wikimedia Commons. Fertilized female cones of Welwitchia mirabilus. Photo: Amanda44 2011. Source: Wikimedia Commons. Photo: Luxil 2010. Source: Wikimedia Commons. Unlike most gymnosperms, gnetophytes (i.e. Welwitchia mirabils) secretes pollination droplets eaten by specific insects, resulting in insect pollination. Angiosperms are the only other group of plants with this ecological similarity. Photo: Nanosanchez 2012. Source: Wikimedia Commons. 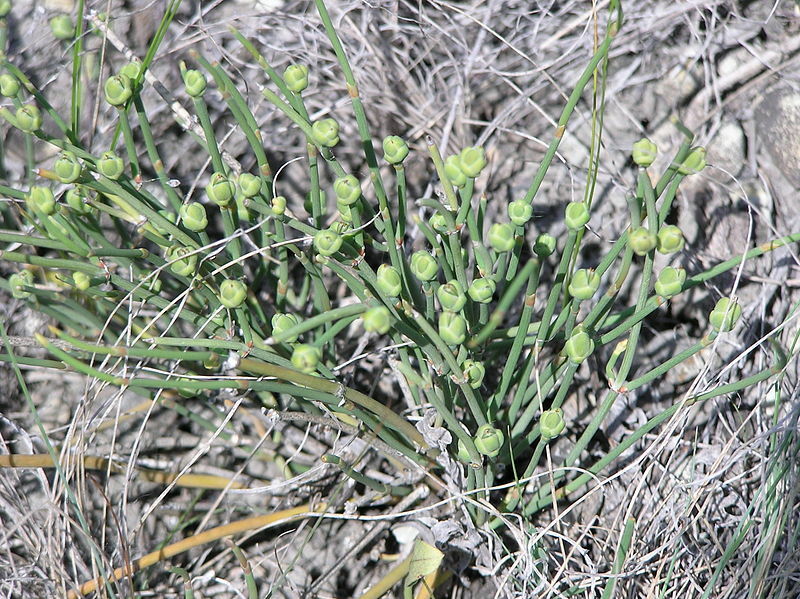 Fertile female plant of Ephedra distachya. 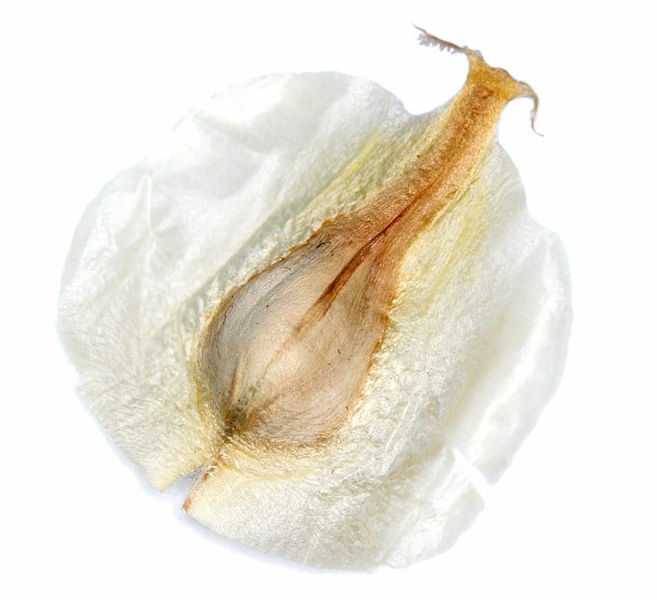 All gnetophytes have bracts that surround the ovules (eggs), clearly seen in this example. Photo: Le.Loup.Gris 2009. Source: Wikimedia Commons. Male plant of Ephedra fominea. Pollen-containing anthers radiate from central bracts on an apical meristem. Photo: Gideon Pisanty 2008. Source: Wikimedia Commons.